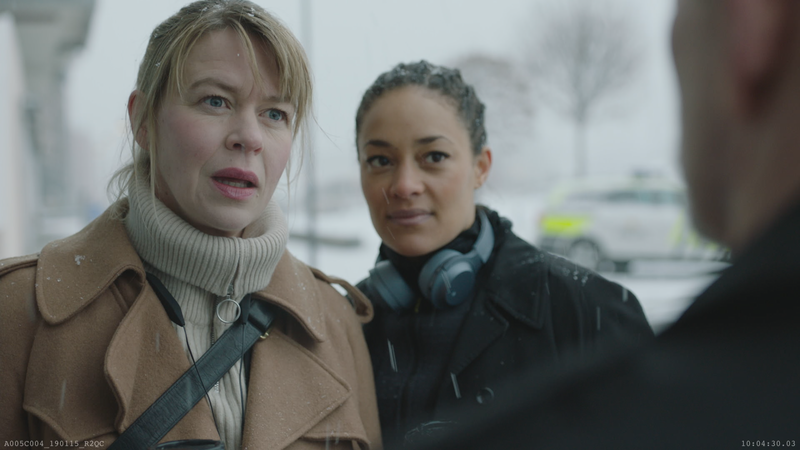 DRG has acquired the rights to For Life, a Norwegian “happy noir” police procedural that will be launched for pre-sale at MIPTV. The 8 x 60-minute series is created and written by International Emmy Award-winning Gjermund S. Eriksen (Mammon) and co-written by Helena Nielsen (Lilyhammer). It follows the story of Victoria Woll, a hardened National Crime Service investigator, across two different timelines: in the present, where it’s her job to solve cases and put criminals behind bars, and in the future, where she is in prison. The series is produced by Norwegian prodco Monster for NRK. Along with DRG, the Norwegian Film Institute has also invested in the procedural. Producers include Håkon Briseid (Nobel) and Bård Fjulsrud (Young and Promising). Series consultant is triple International Emmy Award-winner Sven Clausen, a former producer on NYPD Blue and executive producer for the successful Nordic crime series Mobile Unit (aka Unit One). Cast members include Iselin Shumba (ZombieLars), Ingar Helge Gimle (Rekyl), Judy Karanja (Valkyrien), Hallvard Holmen (Magnus), Vidar Sandem (Mammon) and Mattis Herman Nyquist (Nobel). For Life has just gone into production in Norway and will deliver to NRK later this year. Briseid said: “There are many brilliant Scandi Noir shows in the market, including Gjermund S. Eriksen’s previous series Mammon, but we want to show that Nordic high production values and clever storylines don’t’ always have to be dark, gloomy and founded in fear and anxiety. Dave Clarke, DRG’s executive VP of content, added: “Monster and NRK have an enviable track record for producing entertaining and gripping drama so this refreshingly different police procedural, created by the very talented Gjermund S. Erikson, was immediately something in which DRG wanted to invest.